We’e heard about Project Tango before, in September, and we’ve learned that it should be a new tablet that takes advantage of Google’s 3D mapping technology. Project Tango was originally announced in May 2014, but we had some leaked images and an FCC certification leaked in September, when the project started gaining steam. Project Tango revolves around the concept of putting 3D mapping technology into devices, combining those with 3D sensors and computer vision chips so that the device can fully display 3D. Project Tango has been in the Google Play Store for a while now, but it has been unavailable for purchase for most people. Those who had registered for the development kit at I/O were the only ones who could actually buy the tablet. Today, Google started sending out emails to certain developers, inviting them to purchase Project Tango and help with the new technology. By receiving the email, developers now know that their email addresses are registered at Google and if they want to, they can go ahead and purchase the Project Tango development kit from the Google Play Store. We wonder how many people have received these emails and how many will in fact buy Project Tango. Google explains in the email that Project Tango is not for consumer use (yet) and comes with a series of issues and bugs, which is why it is intended for professional developers. 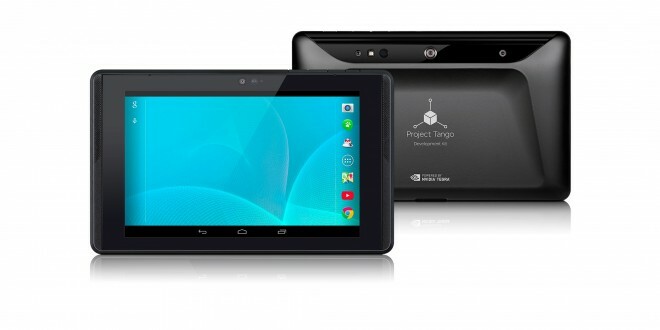 The Project Tango release date is set sometime in 2015, but its price is unknown. Currently, whitelisted developers can buy Project Tango for $1.024, which is quite the hefty price for an experimental device. Project Tango specs include an Nvidia Tegra K1 CPU, 4 GB RAM and 128 GB internal storage. Built-in, developers will find a motion tracking camera and integrated depth sensors. The Project Tango tablet contains a massive 7.6V Li-ion polymer dual cell battery, a 7 inch display with a 1920*1200 resolution which makes for 323 ppi pixel density, Wi-Fi, Bluetooth LE, 4G LTE and a microSD card slot. While the Project Tango tablet is quite expensive, the development kit may be a lot of fun for the diligent developer who knows how to exploit the 3D mapping technology built into the tablet.